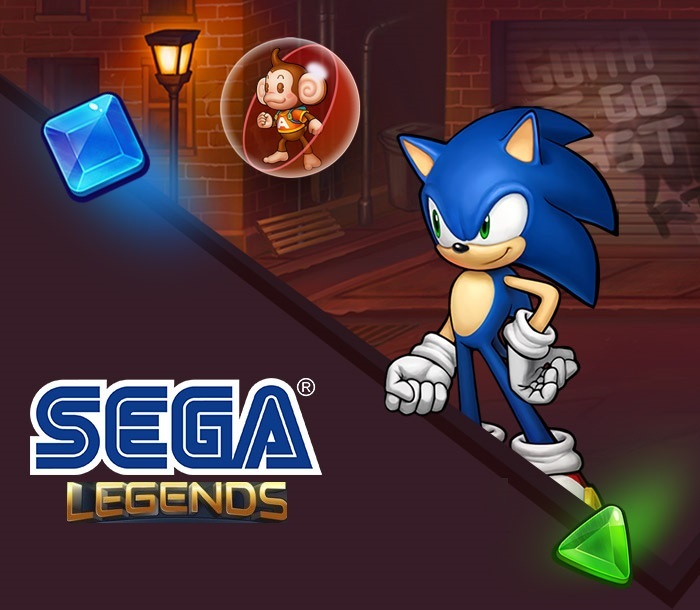 SEGA Legends Heroes is a crossover puzzle game from Sega Europe for mobile. 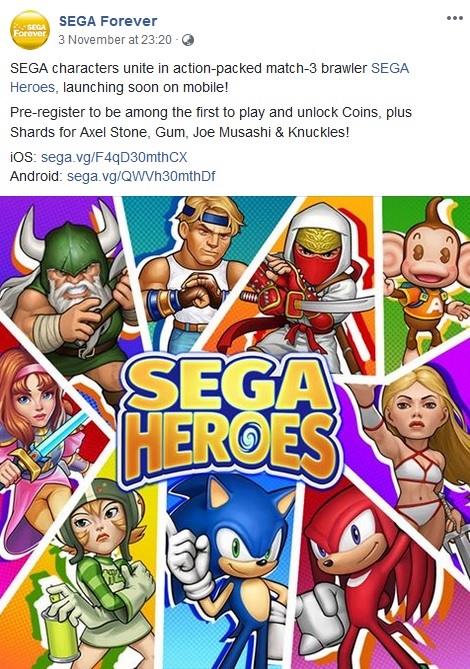 Starring characters from classic SEGA games such as Golden Axe, Streets of Rage, Sakura Wars, and Sonic The Hedgehog. I want to play it but my phone is impractical for such things. It be nice if the very least has an N3DS release, given the vertical split-screen display of the game. This game looks so weird. 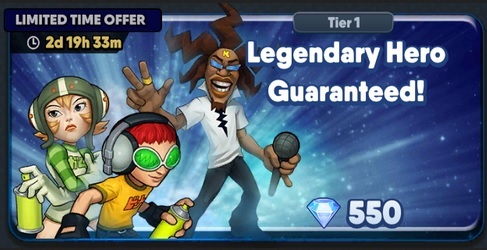 But I hope it hits iOS soon! 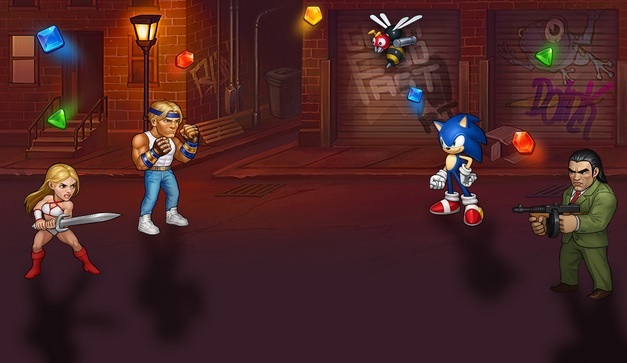 For a phone game that tribute classic Sega games, I find it a missed opportunity to have the gems from Columns in this game. 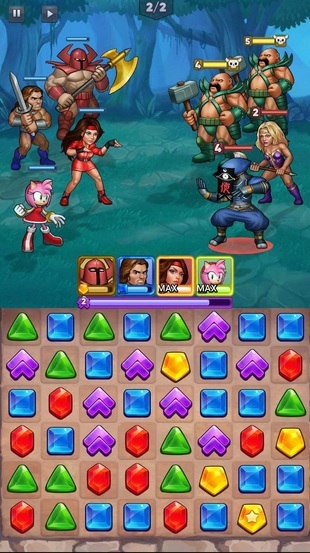 Now THIS is a mobile game that looks terrible. To be fair, looking into it. In Columns while the yellow, green and blue gems each had unique cuts, they were all square shaped. Maybe the initial idea was for Columns gems to be in the puzzle game but wanted the shapes to be more recognisable. Actually I saw some gameplay on YouTube and it doesn't seem that half bad. 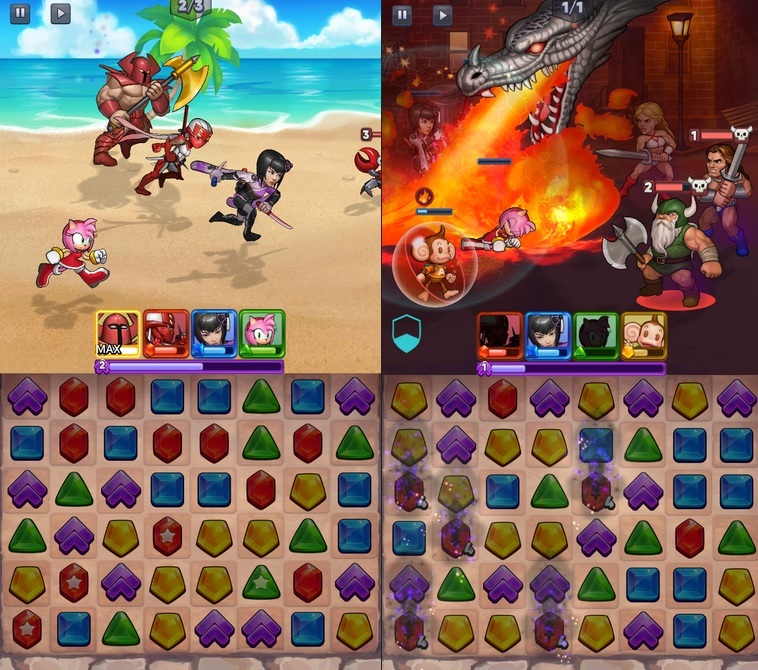 Granted it looks like it recycled Bejeweled or Candy Crush but whats interesting is that it doubles as a turn-based combat RPG. 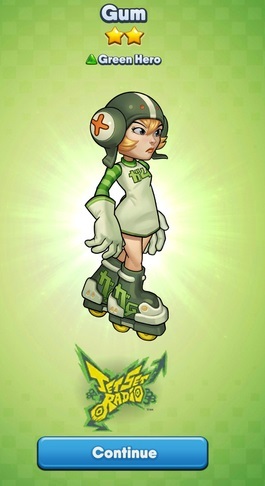 Only turns and attacks are decided by the colours you matched. 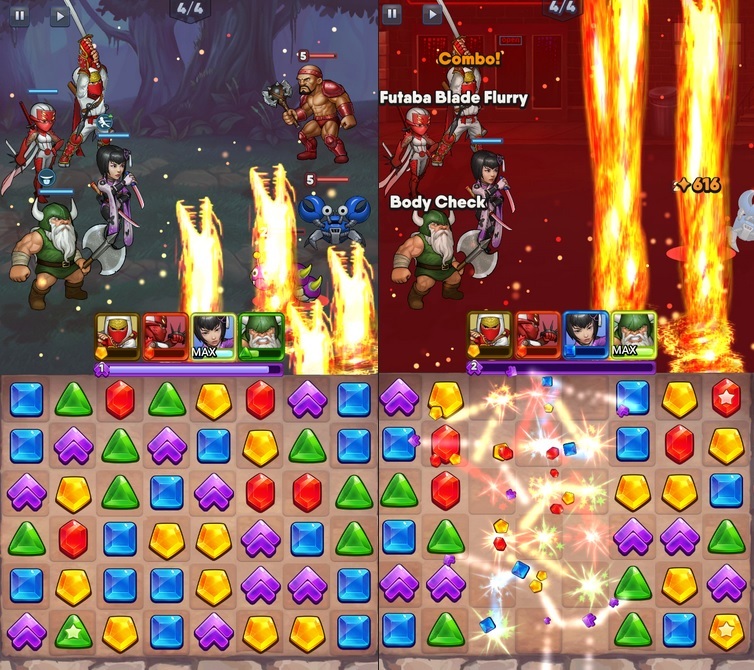 For example, match 3 blue gems and the Sega character in the blue position will attack. As much as it's blatantly Bejeweled, it's done in a way that's somewhat fresh and original. And gets some milage with different fighters and characters to unlock for the RPG. Would be nice if there was a healing mechanic though. This game is surprisingly addicting. I shouldn't have started playing it since mobile game is dangerous (we can literally play it anywhere anytime). Currently at level 14 now. 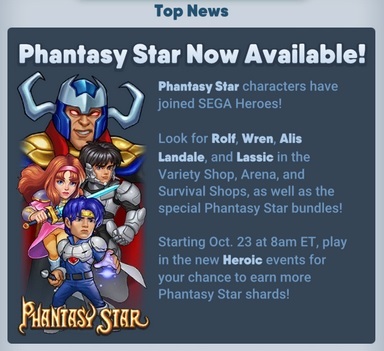 Phantasy Star characters are available now. Is this still in testing? 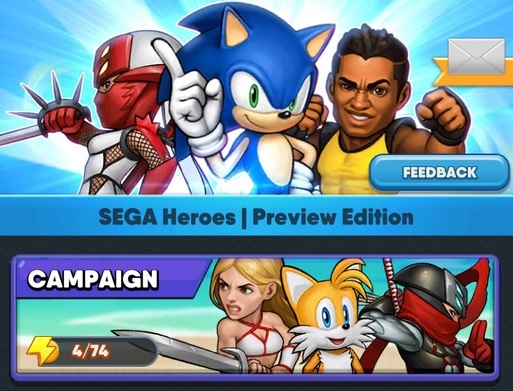 and the game title's still using "Preview Edition" so I guess ... 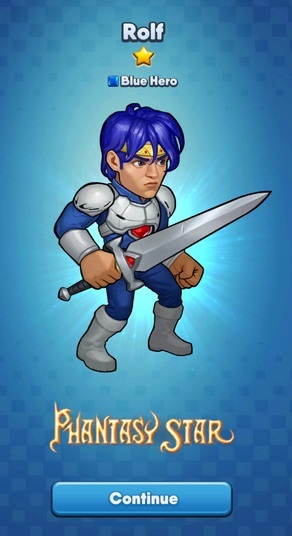 Yes, it's still on testing for worldwide release. They're dropping the "Preview Edition" title so I guess it's gonna be out soon.